Evolutionary theorists propose that female desire for domineering males helped create a patriarchal world. Political scientist Charles Murray complained that Scientific American “has been adamantly PC since before PC was a thing,” which as someone who began writing for the magazine in 1986 I take as a compliment. Murray, famed for contending in The Bell Curve that biology underpins racial inequality, has proposed similar arguments to explain female inequality. Critics of my column see themselves as courageous defenders of scientific truth, and yet they prefer “truth” that confirms their conviction that biology underpins inequality. If you question these claims, you are a “social justice warrior.” So what does that make them? Social injustice warriors? Men write more books. Men give more lectures. Men ask more questions after lectures. Men post more e-mail to Internet discussion groups. To say this is due to patriarchy is to beg the question of the behavior’s origin. If men control society, why don’t they just shut up and enjoy their supposed prerogatives? The answer is obvious when you consider sexual competition: men can’t be quiet because that would give other men a chance to show off verbally. 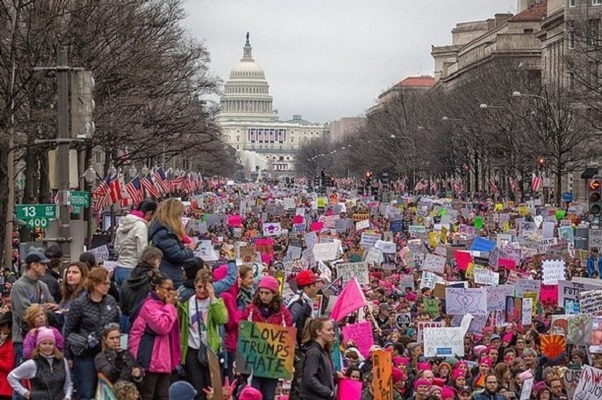 Men often bully women into silence, but this is usually to make room for their own verbal display… The ocean of male language that confronts modern women in bookstores, television, newspapers, classrooms, parliaments, and businesses does not necessarily come from a male conspiracy to deny women their voice. It may come from an evolutionary history of sexual selection in which the male motivation to talk was vital to their reproduction. Many women would prefer it otherwise, but in the real world, the tough guy finds himself besieged with female admirers, while the self-effacing friend sadly clutches his glass of Chablis at the fern bar alone. The individual men and women who make up our species are extraordinarily ready to admire, to love, and to reward male demonism in many of its manifestations, and that admiration, love and rewarding perpetuates the continuation, for generation after generation, of the demonic male within us. Women don’t ask for abuse. Women don’t like many specific acts of demonic males. But paradoxically, many women do regularly find attractive the cluster of qualities and behaviors—successful aggression, dominance and displays of dominance—associated with male demonism. Both men and women are active participants in the very system that nurtures the continued success of demonic males; and the knot of human evolution, with the demonic male at the center, requires an untying of both strands, male and female. Miller and Wrangham insist that they are trying to understand the roots of harmful behaviors, not to excuse them. They don’t say patriarchy is inevitable, let alone good. Wrangham argues in Demonic Males that female empowerment is the best way to create a more egalitarian, peaceful world. But there are a couple of problems with the sexual-selection theory of male dominance. First, the theory is poorly supported by anthropological evidence. Studies suggest that our pre-civilization ancestors, who were nomadic hunter-gatherers, were relatively peaceful and egalitarian. War seems to have emerged not millions of years ago but about 12,000 years ago when our ancestors started abandoning their nomadic ways and settling down. Another problem with the sexual-selection theory of male dominance is that it suggests women have been complicit in their own oppression. We live in a hyper-competitive, male-dominated culture because women prefer the “tough guy” to the “self-effacing” guy. Women are bullied into submission by loud-mouthed, domineering men because, historically, women have “selected” men who are loud-mouthed and domineering, thus propagating these traits. Women dig mansplainers. And remember that women’s preference for domineering men is supposedly instinctual, rather than a rational response to a male-dominated world. The sexual-selection theory of male dominance is a form of victim-blaming. It is an especially insidious just-so story, because it feeds the male fantasy that women want to be dominated. Proponents of biological theories of sexual inequality accuse their critics of being “blank slaters,” who deny any innate psychological tendencies between the sexes. This is a straw man. I am not a blank-slater, nor do I know any critic of evolutionary psychology who is. But I fear that biological theorizing about these tendencies, in our still-sexist world, does more harm than good. It empowers the social injustice warriors, and that is the last thing our world needs.